Très belle série de photos publiées dans le magazine Paper en Avril 2007. Ce n’est pas le soleil, un simple projecteur pourtant c’est frais comme un matin dans un champs de blé…. 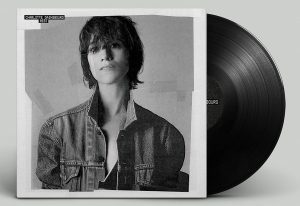 No one ever expected Charlotte Gainsbourg to make another record. Since the release of Charlotte for Ever in 1986 — an album written for her by her adoring father, France’s songwriting genius and provocateur Serge Gainsbourg — Charlotte has enjoyed a successful film career, avoiding the music question completely, particularly after Serge’s death in 1991. 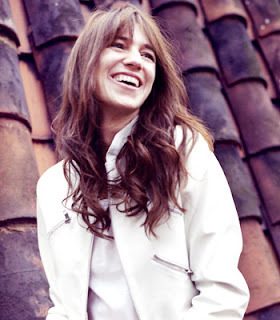 Unlike her mother, the actress and singer Jane Birkin, who regularly performs Serge’s songs in concert alongside her own, Charlotte was loath to go near anything that might bring up emotions about her father, singing only occasionally for charity events or the odd TV show, and usually in a duet. Then she met Nicolas Godin and Jean-Benoît Dunckel of Air at a Radiohead concert. 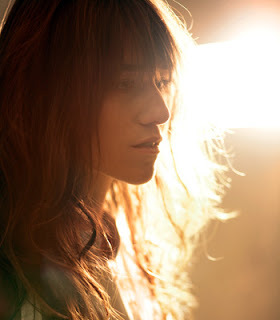 A year later, she recorded an eleven-track album, 5:55 (Because Music/Vice/Atlantic), for which she assembled a distinguished crew — Air, Jarvis Cocker, Neil Hannon, drummer Tony Allen and producer Nigel Godrich — to make her irresistible, otherworldly meditation inspired by that early hour of the morning. Released in September, it went straight to No. 1 in France, reaching platinum sales. Charlotte wears a shirt by Balenciaga. For her latest film, the hit comedy Prête-Moi Ta Main, she has been nominated, a third time, for a Best Actress César (the equivalent of an Oscar). At 15, she had already appeared in two films and won a César for Most Promising Actress in Claude Miller’s L’Effrontée, a story about blossoming teenage sexuality; at 22, her uncle, Andrew Birkin, chose her to play Julie in his adaptation of Ian McEwan’s The Cement Garden, about four children whose parents die and whose two older siblings, Jack and Julie, assume the role of parents (yes, including consummation) to the little ones. In 1996, Franco Zeffirelli cast her as Jane Eyre opposite William Hurt. Charlotte has made movies with her longtime live-in partner, Yvan Attal (with whom she has two children), who wrote and directed two semi-biographical comedies in which the two both star: My Wife Is an Actress and They Lived Happily Ever After. Her role as the obscure object of desire has carried her appeal overseas: She appeared in Alejandro González Iñárrittu’s 21 Grams, Dominik Moll’s Lemming and Michel Gondry’s The Science of Sleep. She just wrapped Todd Haynes’s new film, a Bob Dylan biopic entitled I’m Not There, in which she stars as Dylan’s wife opposite Heath Ledger. Despite her steady output, Charlotte is famously private and discreet — she is not a socialite (« I like not being trendy, not really knowing what’s happening, » she says). A perfect composite of both her parents’ standout qualities, she exudes the androgynous femininity of her mother and the intelligence of her father. Her voice is soft and childlike; she is reticent and shy; her eyes dart all around a crowded room, but she smiles constantly and will speak her mind. At the PAPER photo shoot, between lighting changes, she would stand confidently alone, smoking a cigarette, and when the stylist gave her clothes to try on, she did not use a mirror. Considering this atypical allure and unaffected nature, it is easy to see why she has played muse to fashion designers (such as Balenciaga), musicians and, in particular, film directors. Charlotte wears a shirt by American Apparel, jeans by Notify. Fragrance: Jil Sander Style. Charlotte wears a shirt by American Apparel, jacket by Dior Homme by Hedi Slimane. Deep down, the idea of making music never really went away. A few years ago, an impulse to actually record something began to surface. « I didn’t know how, I didn’t know with who, » she says. « I didn’t feel I was a musician, so I didn’t have all the tools to do something. But the idea was becoming more and more present. » When she met Air, she just knew. « I just wanted us to do something together. And I thought it was possible with them, and [that] their music and my voice could match well. » Coincidentally, Nigel Godrich (who has worked with Radiohead, Beck and Paul McCartney) had unknowingly suggested Charlotte’s voice to Air for a song remix. Charlotte was intent on being present for the entire creation of the record, which took place in a studio in Paris. While she had a good idea of the themes and feelings she wanted to capture, she was nervous. Not only did she not consider herself a musician, but she was completely on her own: « The experience I had with my father singing, I was directed. He did everything for me. And for this first time, I had to direct myself and decide what I wanted to sound like, how I wanted to sing these songs and be really the one behind [it]. » She turned to Godrich for help, but he rebuffed her, saying that this was her project, her challenge. « I really had questions about the lyrics from the very start, » she says. « I said to Air, ‘For me, it’s as important as the music.’ And they said, ‘For us, it’s less important. The music comes first.’ So we tried to write some of the songs — I tried to write in English and in French, and they wrote some of them — but I really felt after a while I needed an author. Someone that would be as strong as they were in the music. 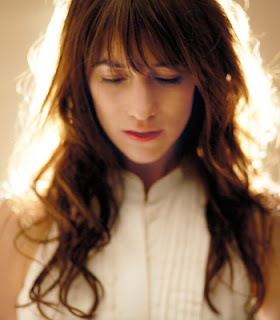 » So Godrich called Charlotte’s favorite lyricist, Jarvis Cocker, for help. As most Serge fans might have observed by now, Charlotte recruited three musicians whose sound and style would not exist without the strong influence of her father. Cocker’s British-ized ennui, penchant for scandal and bitingly observant songs are unavoidably Gainsbourien; Air’s pretty-boy, cinematic, ’70s-inspired compositions recall the singular arrangements of Jean-Claude Vannier, who worked with Serge on his concept album Melody Nelson. But when they congregated, no one mentioned Serge. « It was always, like, not a secret subject, but they were all very discreet about my father, because it was such a big deal for me, » Charlotte says. « And my father was so present during all that recording and thinking about the album. I didn’t want to sing in French because it reminded me too much of his songs, and I felt that I couldn’t compare. It was really too heavy. Because it was that heavy, it was very discreet. I was always the one who was bringing him up and talking about him. 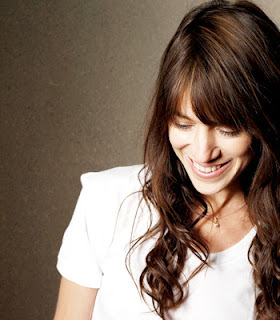 » Oddly enough, Melody Nelson, her favorite Serge record (recorded when Jane was pregnant with Charlotte) was constantly on her mind throughout the process. « The ‘concept album’ is a little pretentious for me, » she admits, « but it was the idea. I wanted something that would be part of the same story, and I did want to tell a story at the beginning. » The album possesses that same magnetism that is unmistakably Charlotte’s. She and Air came up with nighttime as the theme. « [It] gave us a purpose to go into dreams and all those different subjects of introspection, something a bit unreal that was all very coherent. I felt those were all very intimate subjects that I felt very close to, » she says.